Every year they hold a open house at the fire station. This is a weekend in October during National Fire Prevention Week. 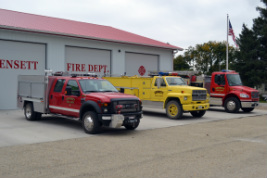 The fire department is a volunteer organization that serves the city of Kensett and the surrounding townships. Every year the fire department will hold a couple of fund raising activities. 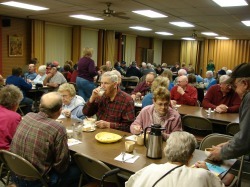 Their annual soup supper is one of these activities. This event is held in February at the Bethany Lutheran Church in Kensett.